Everyone recognizes Serena as a fierce competitor and savvy entrepreneur, but her evolution into devoted mom has truly been a thing of beauty to behold, bringing an even more revealing, honest and vulnerable glimpse into the life of one of our favorite phenoms—and Olympia is developing into quite the little personality, herself. 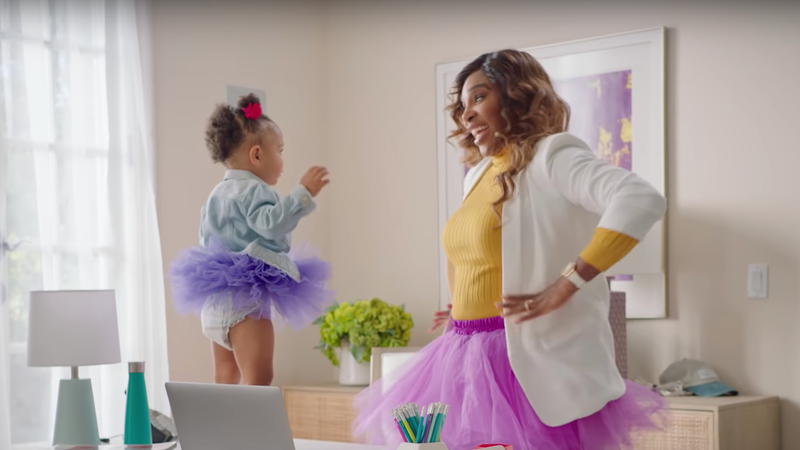 Whether it’s mommy-and-mini matching outfits, a Simone Biles-worthy workout, or teaming up with Pampers in celebration of wild children everywhere, this dynamic duo is always guaranteed to bring a smile to our faces. Since it’s #ThrowbackThursday on a less-than-stellar week at the office (we’ve got a bug going around), we figured we’d share some smiles—and some baby love. And if all else fails, it’s almost Friday. Baby Love: Shop Alexis Olympia Ohanian&apos;s Closet—for a Good Cause!